1. ^ Turnbull, Margaret C., and Jill C. Tarter. "Target selection for SETI: A catalog of nearby habitable stellar systems," The Astrophysical Journal Supplement Series, 145: 181-198, March 2003. （Link）. Habitability criteria defined—the foundational source for this article. 3. ^ Kasting, J.F., D.C.B. Whittet, and W.R. Sheldon. "Ultraviolet radiation from F and K stars and implications for planetary habitability," Origins of Life, 27, 413-420, August 1997. （Link abstract on-line）. Radiation by spectral type considered. 4. ^ Kasting, J.F., D.P. Whitmore, R.T. Reynolds. "Habitable Zones Around Main Sequence Stars," Icarus 101, 108-128, 1993. （Link）. Detailed overview of habitable zone estimates. 7. ^ Santos, Nuno C., Garik Israelian and Michel Mayor. "Confirming the Metal-Rich Nature of Stars with Giant Planets," Proceedings of 12th Cambridge Workshop on Cool Stars, Stellar Systems, and The Sun, University of Colorado, 2003. （Link）. Metallicity and the occurrence of extra-solar planets. 11. ^ Wiegert, Paul A., and Matt J. Holman. "The stability of planets in the Alpha Centauri system," The Astronomical Journal vol. 113, no. 4, April 1997 （Link）. Potentially stable orbits and habitable zones around Alpha Centauri A and B. 18. ^ Laskar, J., F. Joutel and P. Robutel. "Stabilization of the earth's obliquity by the moon," Nature, 361, 615-617, July 1993. （Link abstract on-line）. Necessity of Moon for stable obliquity considered. 27. ^ Lunine, Jonathon I. "The occurrence of Jovian planets and the habitability of planetary systems," Proceedings of the National Academy of Science vol. 98, no. 3, 809-814, January 30, 2001. （Link）. The role of Jupiter in seeding the early Earth. 2. ^ Star Tables, California State University, Los Angeles. 5. ^ The Little Ice Age, University of Washington. 6. ^ 18 Scorpii, www.solstation.com. 8. ^ Binary Stars, Cornell University. 9. ^ Stars and Habitable Planets, www.solstation.com. 10. ^ Planetary Systems can form around Binary Stars, Carnegie Institute release, January 15 2006. 12. ^ "Could there be life in the outer solar system?" Motivate videoconferences for schools. 13. ^ An interview with Dr. Darren Williams, www.ibiblio.org. 14. ^ The Heat History of the Earth, James Madison University, Geology. 15. ^ Magnetic Field of the Earth, Georgia State University. 16. ^ Bortman, Henry. Elusive Earths, Astrobiology Magazine, June 22, 2005. 17. 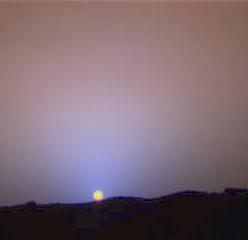 ^ "Planetary Tilt Not A Spoiler For Habitation", Penn State release, August 25 2003. 19. ^ Elements, biological abundance David Darling Encyclopedia of Astrobiology, Astronomy and Spaceflight. 20. ^ "How did chemisty and oceans produce this? ", Electronic Universe Project, University of Oregon. 21. 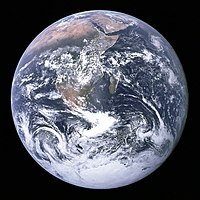 ^ "How did the Earth Get to Look Like This? ", Electronic Universe Project, University of Oregon. 22. ^ Habitable zones of stars, University of California. 23. ^ Red, Willing and Able, www.kencroswell.com, published in New Scientist January 27, 2001. 24. ^ "'The end of the world' has already begun", University of Washington release, January 13, 2003. 25. ^ "M Dwarfs: The Search for Life is On," Interview with Todd Henry, Astrobiology Magazine, August 29, 2005. 26. ^ Bortman, Henry. "Coming Soon: 'Good' Jupiters", Astrobiology Magazine, September 29, 2004. 28. ^ Mullen, Leslie. Galactic Habitable Zones, Astrobiology Magazine, May 18 2001.